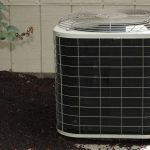 Why Is Your Air Conditioner Blowing Warm Air? There’s nothing worse than coming home after a day outdoors in the heat and finding your air conditioner on the fritz. 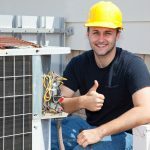 If your air conditioner is blowing warm air rather than cold air, there are a few things you can check on your own before calling for service. Sometimes, something as simple as an incorrect thermostat setting can create discomfort in your home. If you’ve recently changed the batteries, or if you’ve recently changed some settings, make sure you haven’t accidentally switched your thermostat settings from “cool” to “fan”. This will cause the fan to blow air around, but it shuts off the condenser, so the air won’t cool as it circulates. The condenser unit outside your home is responsible for discharging heat into the environment around it. 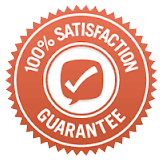 In order to do its job efficiently, it must have plenty of clearance on all sides, and it must be clear of things like leaves, blankets, grass, and even dirt trapped inside the fins Remove any blockages you see, and be sure to keep grass trimmed low. If the fins themselves are clogged with debris, you can find a fin comb at your local hardware store to remove the debris and straighten them out, but it’s always better to call a professional. The air filter removes dirt and debris from the air as it cycles through your air conditioner. The ample supply of air keeps things moving throughout the system, so if your air filter is clogged or especially dirty, you’re losing efficiency. Replace your air filters every four to six weeks, and if you have a washable filter, be sure you wash it regularly and allow it to dry completely before replacing it. Refrigerant leaks are quite rare in newer systems, but they aren’t unheard of. One of the causes of an air conditioner blowing warm air is a refrigerant leak. This refrigerant acts as the medium that absorbs heat from inside your home and then deposits that air outside. If there’s not enough refrigerant, your system can’t move enough warm air outside, and it can’t condense enough moisture to cool the air, either. This is always a reason to call an HVAC technician; only a licensed tech can add refrigerant to your HVAC system and repair refrigerant leaks. Finally, an air conditioner blowing warm air may be caused by leaking ducts. This is especially true if your ducts run through a crawlspace that is partially exposed; animals can enter the crawlspace, and they will often try to enter the ducts to stay cool in the heat. The best way to prevent this is to close off your crawlspace, but if this is the reason behind your air conditioner blowing warm air, you’ll need to repair the ducts before you can adequately cool your home. An air conditioner blowing warm air may be the result of an incorrect thermostat setting or as complex as a refrigerant leak. If you can’t find the culprit, contact your local, trusted HVAC technicians for a diagnosis and repair. In most cases, you can get someone to check things out the same day or the next day.